What Are the Causes of Classroom Discipline Problems? 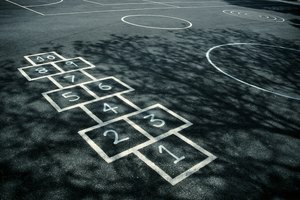 What Are the Benefits of Recess in Middle Schools? Maintaining an orderly classroom can be challenging. Elementary school children are a unique group. They are creative, fun and independent, but they can be challenging, especially in the classroom. Behavior problems in school with this age group are common as they learn to test their limits and assert their independence. Understanding the causes of misbehavior and how to deal with them can make a classroom flow more smoothly. Some students misbehave because they are bored or do not understand the rules and expectations. Others act out to get attention from other students, their parents or the teacher. Some students have learning disabilities that may show up as misbehavior, and others act out in response to or as a way to cope with a negative home environment. 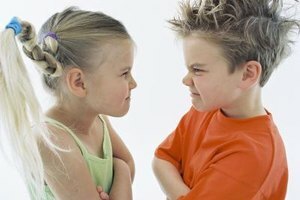 Still others may see their parents or siblings behave in certain ways and copy that behavior. According to the Parent Institute, common discipline issues for elementary school children include talking out of turn, disrupting class, being irresponsible or careless, disobeying rules and whining. Some behaviors, such as bullying, fighting, defiance and lying, can start out small but escalate into more serious problems if not dealt with properly. 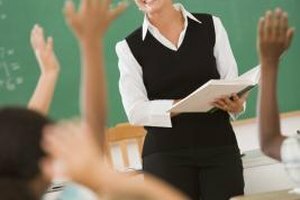 In a survey done in 2012, Scholastic found that 62 percent of educators said that behavior issues are interfering with teaching, and 53 percent said they would like to spend less time on discipline issues and student supervision. They stated that behavior problems are a distraction to the learning environment, and disruptions cased by misbehavior take away time that could otherwise be spent on classroom instruction. Working together, teachers and parents can take steps to reduce misbehavior. 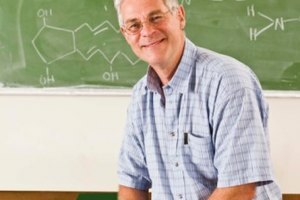 According to the Institute of Education Sciences, pinpointing what causes students to act out can help the teacher intervene before it happens, possibly avoiding bad behavior altogether. Positive reinforcement by praising students when they behave properly and minimizing downtime by keeping children engaged in activities are also good strategies. Establishing rapport and clear, consistent rules and expectations also can cut down on behavioral problems. The Parent Institute: Common Discipline Problems of Elementary School Children and How to Deal With Them. Anderson, Marie. "Behavior Problems in Elementary School." Synonym, https://classroom.synonym.com/behavior-problems-elementary-school-11970.html. 26 September 2017.